Due to the failure of the caretaker government to deposit Rs15 billion security guarantee, a stay order in favour of Pakistan on the execution of the $846 million (Rs84.6 billion) arbitration cost awarded to the Turkish firm, Karkey Karadeniz Elektrik Uretim (Karkey) in the Rental Power Projects (RPPs) case has been vacated, an official source revealed to The Express Tribune. The official described it as a major setback for the country. The cost was imposed by the International Centre for Settlement of Investment Disputes (ICSID) in RPP case. Likewise, the sources told The Express Tribune that when the deadline to deposit the security guarantee ended on June 22, the Turkish company on Friday approached the US court for the enforcement of award against Pakistan. It is learnt that earlier this week, the caretaker government had refused to submit the security guarantee for the continuation of the stay order on the execution of award. Caretaker Minister for Law & Power Ali Zafar and Finance Minister Shamshad Akhtar discussed the Karkey issue during a high-level meeting on Thursday, especially the matter related to the submission of security guarantee. The participants were told that former prime minister Shahid Khaqan Abbasi had approved depositing the security guarantee for continuation of the stay order on the execution of Rs85.6 billion award. The meeting was also informed that if the guarantee would not be submitted, then the stay order will be vacated. “Despite being briefed about the serious repercussions, the finance ministry’s officials brazenly acted in disregard to the dangerous fallout of not submitting the security guarantee, which was inevitably vital to allow the stay order to remain till the final judgment of Pakistan’s plea regarding the annulment of the award,” the sources added. 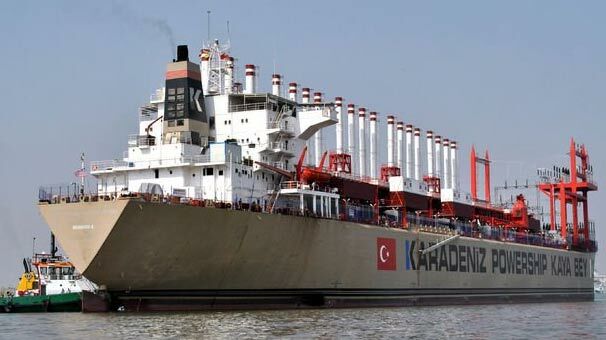 They said that in view of the prevailing situation, the Turkish firm had approached the US court against Pakistan for enforcement of the award, which was announced on August 22, 2017. Giving a background of the issue, the official sources state that Pakistan approached the ICSID for annulment of the award on different reasons in October last year. On November 7, 2017, the tribunal gave the stay order on the enforcement of the award. In May, the ICSID asked both the parties to settle the amount of security guarantee for the continuation of the stay order. Firstly, the Turkish company had demanded $300 million but later it was agreed on $150 million. It is learnt that the initial deadline for the submission of the security guarantee was June 15. However, the time was extended for one week due to Eid vacations. In the meantime, the caretaker government had refused to deposit any amount of guarantee. Regarding repercussions of vacation of the stay order, a senior lawyer, who has expertise in international disputes, fears that the Turkish company may approach different countries’ courts for the enforcement of the award against Pakistan and it (Pakistan) will be compelled to hire a number of international legal firms to contest the case, adding that Pakistan would have to bear immense cost of litigation. The lawyer believes that the enforcement process may take one year, which is another big challenge for the next government that how it will pay the huge amount to the foreign company. Meanwhile, Karkey also has issued a statement, wherein it is stated that since the stay has been terminated, Pakistan is obligated to voluntarily and immediately comply with the award, adding it is entitled to seek recognition and enforcement of the award pursuant to Article 54 of the ICSID Convention. Sources, however, reveal that an important meeting will be held today (Sunday) to deal with the prevailing situation. It is also learnt that hearing of Pakistan’s plea seeking annulment of the award will likely be held in next summer. Pakistan has engaged a new legal representation – GST LLP and Axis Law Chambers – to contest the annulment proceedings before the ICISD. Earlier, the government had hired Allen and Overy and paid more than $10 million in fees. It is also learnt that renowned lawyer Makhdoom Ali Khan – who has represented eight countries before the ICSID – had offered his service for free, but the then government had decided to hire Allen and Overy. A senior government official told The Express Tribune that Pakistan has already expressed its serious concerns over the award and that Pakistan’s previous legal team was not allowed to present key evidence regarding corruption on the part of the Turkish company. Surprisingly, key witnesses such as Shahid Rafi, the water and power secretary at the time, were also not permitted to give statements before the arbitrators, he said. Pakistan faces a major challenge in its efforts to get the ruling overturned. Since 1960, of the roughly 600 requests for annulment of awards, only 17 were successful. The parties concerned have four months to move for annulment of the award. Earlier, international arbitrators while giving award raised several questions the Supreme Court’s judgment in the RPP case, adding that in their opinion, the fault lay in its decision to declare all RPPs contract void. They also said that the tribunal had also questioned why the top court did not examine each RPP contract individually before voiding all of them for corruption. Likewise, the ICSID rejected Pakistan’s argument that the country was bound to comply with local legal judgments. The tribunal held that the actions of the local judiciary can be considered actions of that state. Legal experts are unanimous that superior courts should not interfere in such matters because of the profound repercussions. Foreign investors are also feeling insecure due to such controversial verdicts. The next government will have to deal with the fallout of major legal battles in international legal forums, paying billions of dollars in damages in several controversial matters, especially in the Karkey and Reko Diq case next year. Officials said that both the cases – the Karkey rental power plant and Riko Diq – were likely to conclude sometime next year. “Currently, Pakistan is facing 36 cases of different nature at international courts. Even some independent power producers (IPPs) have also filed cases with international arbitrators seeking clearance of their pending dues, which amount to more than a trillion rupees,” they said. Former Attorney General for Pakistan Ashtar Ausaf Ali, while addressing a ceremony at the start of the new judicial year on September 11, 2017, also expressed concerns over the Supreme Court’s judgments that led to proceedings in international courts. “Some of the judgments by our courts led to international proceedings that in turn awarded billions of dollars in damages to investors, and billions more are pending in claims against the state,” the AGP said in his address. He continued: “At a time when Pakistan is emerging from a decade of sluggish economic growth, the courts have a role to play in sustaining and encouraging the modest but increasing rate of economic growth and development. “The world is more integrated and better connected than ever before in human history. We can no longer exist in isolation and think that our processes do not have implications for the state’s standing in the international legal and economic community. As the top court is resuming hearing of the RPPs case on Monday, one section of lawyers urge Chief Justice of Pakistan Mian Saqib Nisar to take notice in the matter and fix responsibility of massive loss in Reko Diq and RPPs cases since 2012. Once the Turkish company was ready to pay Pakistan for settling the issue but it could not be done due to the apex court’s interference. Later, the company was ready to resolve the matter but the then minister for water and power Khawaja Muhammad Asif refused to accept any out-of-court settlement.